It’s extremely rare to find a good book that is free to download but this is definitely one of those rare occasions! What is it you wonder? Well…..it’s the tale of a journey of solidarity that saw 7 crews, using 7 different modes of transport (including motorcycles), starting from 7 different points around the world, but all sharing the same goal: to all meet in Kannur, Southern India, on 17th July to launch a new school of Fine Art. 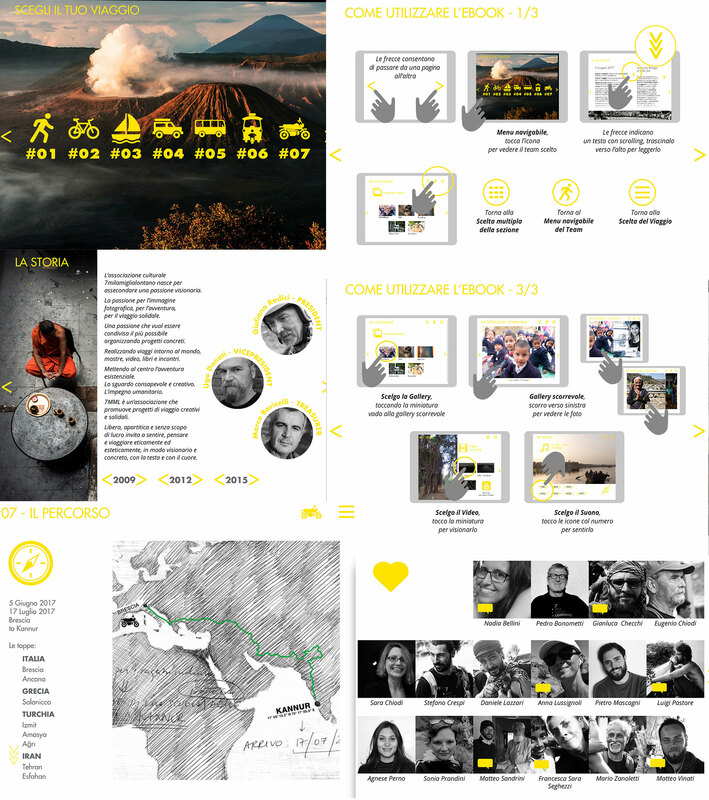 This extraordinary Italian project, called “Ritorno al Centro” or “Back to the Centre”, took place during 2017 and it was all made possible thanks to the amazing organisational skills of the non-profit cultural association “7 Mila Miglia Lontano” (7 Thousand Miles Long), which now recounts the tale of the project to the world through the medium of digital publishing. A choice that has enabled the multimedia contributions collected by the 7 crews ie audio, video, images etc to be merged together along with a series of interactive maps and the e-book has been created so that the reading mode can be set to complement its structure. Divided into seven different experiences, its one and only limitation is language as currently, it is only available in Italian. The e-book is free to download from both the Apple Store and Android platforms (via the Adobe Digital Edition app for Windows). Creating the 7MML multimedia volume “Ritorno al Centro” (Back to the Centre) 2017 has involved the work of photographers, video-makers, writers, professionals and enthusiasts. More than just a classic review, this literary piece would benefit from a tutorial, so let’s look at how it is structured and with the help of various screen shots, how this e-book allows the reader to take advantage of all its contents. The text is presented horizontally and pages slide sideways. Prior to reaching the main topic, there are three screens that show how to “navigate” using the various navigation tools available. The first screen displays the commands in a generic way: use of arrows, scrolling, multiple choice, touch, icons, back, etc. The second and third screens explain how to enter all the sub-areas provided for each of the stories linked to the 7 trips: from the route, to the team, from the Polarstep map, to the photo galleries, from the videos, to the sounds, to the moments linked to the arrival of the individual crews. At this point the reader is ready to follow the story of the project and the seven trips, the latter being recognisable by the indication from # 01 to # 07 and by the means of transport used, stylized through the icons. The sequence is free but the default is set to the story of the team that covered the journey on foot, from Ukhimath, (in the north of India) to Kannur (Kerala). We then move onto the bicycle trip from Kathmandu, in Nepal, then onto the journey made exclusively using sea-vehicles departing from Manila, in the Philippines, touching ports in Malaysia, Indonesia and finally India. 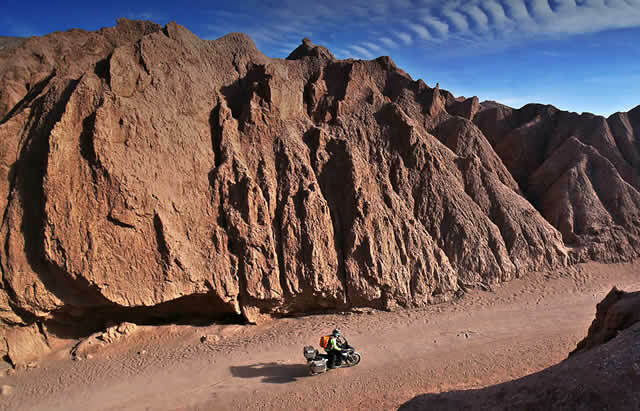 The next crew is that travelling off-road via a 4×4 which left from Italy (Brescia) and is one of the longest trips. # 05 is linked to the team that, starting from Tokyo, arrived in Kannur using public transportation. The Ape Car, (a three-wheeled vehicle widely used throughout Southeast Asia and usually on urban routes), also features as a means of transport … After leaving Kolkata, the crew reached Kannur on time. The 7th and last team is the one in which we are most interested as this team travelled from Brescia to Kannur by motorcycle. Over 40 days of travel, covering more than 13,000 kilometers. Three travelers were involved in the ride: all Italians and all born in the 50’s. The 7 crews were able to complete their respective routes on time and they all met up in Kannur on the 17th July 2017 where they officially began the construction of the Fine Art School. An important contribution, promoting the learning of visual arts and to cultivate young talent in a corner of India where this type of study is still, to this day, a privilege for the few.